Lemuel Abijah Abbott was born in Barre, Vermont, on August 24, 1842. He enlisted July 28, 1862, and mustered in as 1st Sergeant, Co. B, 10th Vermont Volunteer Infantry. 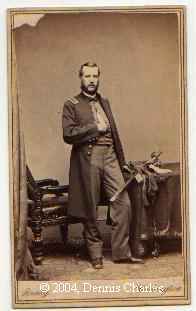 He was commissioned 2nd Lieutenant, Co. D, February 4, 1863, to date from January 26. On May 5, 1864, at the battle of the Wilderness, he was slightly wounded, severely wounded at the battle of Monocacy on July 9, and then wounded again at Winchester, on September 19. He was promoted to 1st Lieutenant on July 11, 1864, to date from June 17, then promoted to Captain, Co. G, on January 30, 1865, to date from the previous December 19. Abbott was mustered out on June 22, 1865 to accept a position as 1st Lieutenant and Adjutant of the 97th U.S. Colored Infantry, on November 6, 1865, and was honorably mustered out on September 10, 1867. He joined the 6th U.S. Cavalry as 2nd Lieutenant on July 2, 1867, was promoted to 1st Lieutenant on September 10, 1869. He served as Regimental Quartermaster from November 1869, to May 1873. 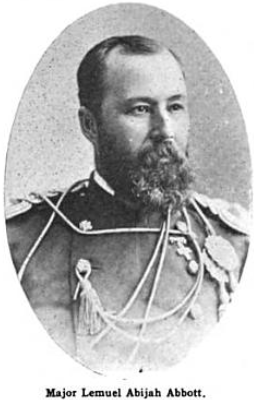 He was promoted captain on June 3, 1880. He received a brevet promotion to major for "gallant services in action against Indians at Big Dry Wash, Arizona on July 17, 1882. He retired on January 3, 1885. Abbott died February 3, 1911, and is buried in Wilson cemetery, Barre, Vermont. 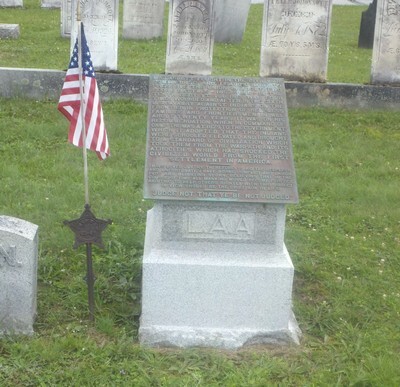 MAJOR LEMUEL ABIJAH ABBOTT, U.S.A., B.S. Lemuel A. Abbott, son of Richard Flagg and Mary (Norris) Abbott, was born in Barre, Vt., August 24, 1842, and died, unmarried, in Aberdeen, Washington, February 3, 1911; was buried in Barre, Vt. He attended the schools of his town and the Barre Academy and entered the University in 1860, remaining until July, 1862, when he entered the army. In 1873, the University conferred upon him the degree of B. S. as for 1864. He enlisted in Co. B, 10th Vermont Infantry, July 28, 1862, and was promoted 1st sergeant, July 28, 1862; 2nd lieutenant June 26, 1863, 1st lieutenant, June 17, 1864, and captain December 19, 1864; was mustered out of service, June 22, 1865. He served during most of the war in the 6th Army Corps. He performed conspicuous service in the following battles: Payn's Farm, Mine Run, Wilderness, Spottsylvania, siege of Petersburg, Monocacy, Winchester, second siege of Petersburg, at at Appomattox. He was slightly wounded in two battles, and severely wounded in two battles. He was commissioned 1st lieutenant in the 97th United States Colored Infantry, November 6, 1865; and served on the staff of General Sheridan on souting and reconsideration duty in Texas; was mustered out of service, April 6, 1866. He was commissioned 2nd lieutenant, 6th United States Cavalry, July 2, 1867; was promoted 1st lieutenant May 10, 1869; served on the staff of General James Oakes as regimental quarter-master, from November 25, 1869 until May 17, 1873; at Forts Hays, Harker, Riley and Dodge, Kansas. 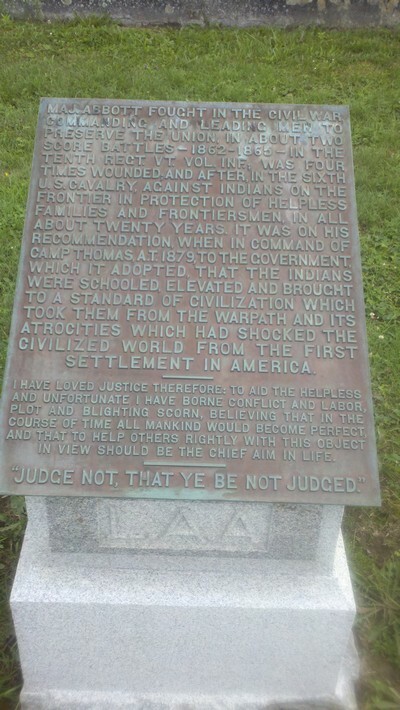 He later served on many scouting expeditions; later served on the staffs of Generals Miles and Biddle in several Indian campaigns. 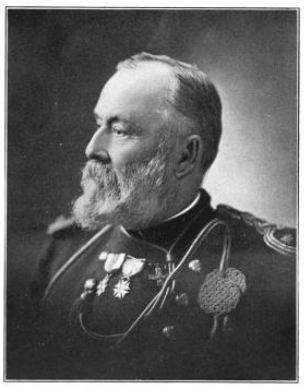 He was commissioned captain same regiment, June 3, 1880, and continued in service in the Department of the West, principally in Arizona; was brevetted major U.S.A., for bravery in a fight with the Indians July 17, 1882. He was stationed for some time at Fort Lowell, Aarizona, and had command of several scouting expeditions. He was retired from active duty January 3, 1885, on account of wounds and general disability. While in the Indian service, he was commissioned by the Government to investigate and report upon the best method to care fo the Indians. His report to educate and civilize them resulted in Indian schools in each agency and their ultimate high station of wealth and education. In 1891, he was instrumental in having the outer bar in Gray's Harbor, Washington resurveyed by the United States Government, which the interests of commerce demanded. In 1899, he was given full rank of major by special act of Congress. Since 1885, Major Abbott spent most of his time on genealogical and historical work. He published in 1908 an extensive genealogy of the Abbott Family; also published in 1908, his Personal Recollections and Civil War Diary, a work of 296 pages. Source: William Arba Ellis, Norwich University, 1819-1911; Her History, Her Graduates, Her Roll of Honor, The Capital City Press, Montpelier, VT, 1911), 2:682-683. See also David P. Perrine's "Lemuel Abijah Abbott: His Life in Arizona and After." Paper presented at a seminar, Military History of the Spanish-American Southwest, Fort Huachuca, AZ, 1976. Major L. A. Abbott, U.S.A., retired, Barre's most distinguished figure in the military history of the country, a civil war veteran and a noted Indian fighter, died Feb. 3, at Aberdeen, Wash., where he was engaged in completing a book and where he was close to the work into which he had entered enthusiastically, the improvement of the waterway at Aberdeen. Major Abbott was accustomed to spend his summers in Barre, where he was born in 1843.